VyprVPN is a Switzerland-based VPN service that has undergone some major changes and improvements over the past few months. Most notably, VyprVPN has transitioned to a 100% no logs VPN provider, with a public audit verification (explained below). They have also upgraded their server infrastructure to improve performance. Does VyprVPN offer good performance throughout the server network (speed and reliability)? Are VyprVPN’s apps completely secure (no leaks)? Is VyprVPN a good value for the money considering all the latest test results? All of these questions are clearly answered in this VyprVPN review, with screenshots below to verify all results. Extensive speed tests on servers throughout VyprVPN’s network found the performance to be excellent. I could regularly get near to my full bandwidth (baseline speed) with nearby VyprVPN servers. Long-distance speed tests were also solid and reliability was great (no connections issues). 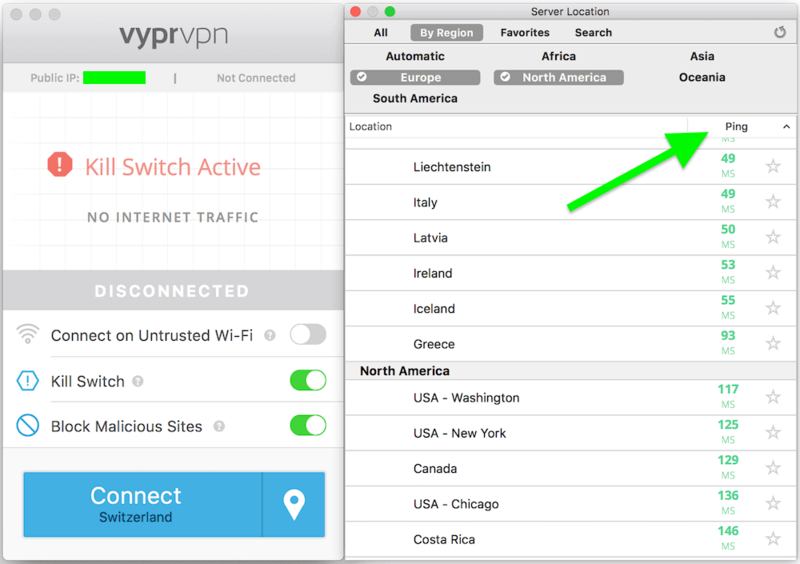 VyprVPN’s updated applications offer a secure kill switch to block all network connectivity if the VPN connection drops. It will also block traffic when switching servers, thereby ensuring no data packets escape outside the VPN to the unencrypted internet. Extensive testing with both the Windows and Mac OS apps did not reveal any leaks or security issues. In comparison to other VPN providers, VyprVPN really stands out because they physically own every single server in their network. They employ the highest standards for their server network infrastructure, rather than using third-party rental servers. The network provides VyprVPN users with higher security, better speeds, and more reliability in comparison to other VPNs. Overall VyprVPN earned a strong recommendation based on all the latest test results and their new policy to be a completely no logs VPN provider. They are also offering a 25% discount coupon for both the basic and premium plans. We’ll kick this VyprVPN review off with one of the most important questions: how does VyprVPN perform on servers throughout the network? Germany – Here is the first test I ran with a server in Frankfurt: 81 Mbps download speed (about 85% of my baseline speed). Luxembourg – Another nearby VyprVPN server in Luxembourg offered similar good speeds around 81 Mbps. Next up was testing long-distance servers in the United States and Canada from my location in Germany. As expected, due to the distance difference, all of the VyprVPN servers I tested gave me speeds around 60 Mbps, which corresponds to the increased latency (ping). New York – Testing VyprVPN servers in New York gave me download speeds around 63 Mbps. The connection was reliable and consistently fast. I also tested the VyprVPN Canadian server location (Toronto) and could get around 60 Mbps. These were excellent speeds considering the long distance between me and the North American server locations. If you value performance in a VPN, VyprVPN would be a solid choice based on all of the tests I ran. VyprVPN is reasonably priced compared to most other high-quality VPN services. When you use this VyprVPN coupon, it costs $3.75 per month for the basic/standard plan, or $5.00 per month for the premium plan. Refund Policy – All VyprVPN plans come with a 30 day money-back guarantee, which is the best you will find in the VPN industry. For a high-performance VPN with a large selection of apps, the prices are quite competitive when compared to other alternatives, such as ExpressVPN. VyprVPN offers different payment options, including all major credit cards, PayPal, and Alipay. Unfortunately, there is no option to pay with Bitcoin or other cryptocurrencies. If you want to pay for your VPN with cryptocurrency (anonymously), NordVPN or VPNArea may be better choices. Another drawback with the different pricing plans is that “Basic” does not include the Chameleon obfuscation protocol. VyprVPN offers apps for a large number of devices. For this VyprVPN review I tested the different applications with Windows, Mac OS, and Android. Everything worked well without any problems to report. VyprVPN has apps for many available apps. With the premium subscription you will get up to five connections. The basic subscription comes with 3 connections. See the exact differences between the two plans here. Here’s what the desktop app looks like, with the locations screen on the right, sorted by ping (latency). In the top right corner you can see that servers are grouped by geographic region and then ranked by ping. Kill Switch – This forces all internet traffic through the VPN. If the VPN connection drops, your internet traffic will be blocked. 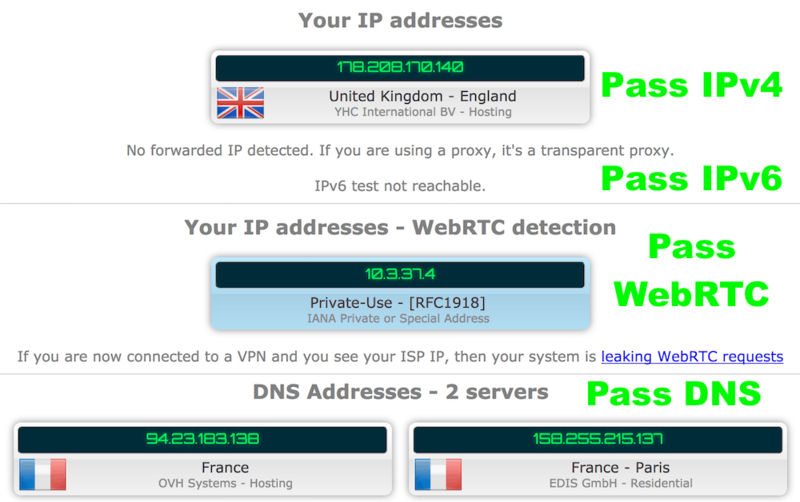 This ensures that your real IP address does not get exposed. Block Malicious Sites – This option filters/blocks a list of domains that are known to spread malware. My overall experience in testing out the different apps is that they are simple and work very well. Many people want a VPN that will perform well on mobile devices. VyprVPN offers both an Android app as well as an iOS app. Here is a quick look at the Android app (left) when connected to a VPN server in the Netherlands. On the right are the leak testing results (no leaks). Here I’m testing VyprVPN’s Android app with a server in Amsterdam. Leak test results (right) show everything is working perfectly (no leaks). Another great feature of the Android client is the ability to selectively route apps on your device through the VPN on a per-app basis. VyprVPN also offers a great iOS app that I have used in the past, although did not thoroughly test for this review. Overall it is a solid VPN for mobile users. VyprVPN did well in all privacy and security tests. Here were a few of the results. As you can see above, the test results were good; I did not identify any leaks or problems. Based on all these test results, VyprVPN is a very secure and reliable choice to keep your data safe. Even though Netflix actively blocks many VPNs, VyprVPN continues to work with Netflix. That being said, you will most likely need to check with VyprVPN support to find the exact server(s) you should use to connect to US Netflix. See the Netflix VPN guide for additional information and streaming tips. Due to VyprVPN’s excellent speeds and premium network, it is also a solid choice for other streaming services as well. VyprVPN can be used with Kodi and is also featured in the Kodi VPN guide for additional information. VPN blocking is a growing problem in much of the world, especially where governments or institutions do not want people using VPNs to evade restrictions and censorship. VyprVPN offers an excellent obfuscation feature to defeat VPN blocking – it’s called the Chameleon protocol. This is a self-developed OpenVPN protocol with 256-bit encryption that will blend in with regular internet traffic to defeat restrictions and blocking. It does this by encapsulating OpenVPN traffic behind regular HTTPS encryption. VyprVPN offers great features for anyone experiencing problems with VPNs getting blocked. Note: The Chameleon obfuscation protocol is only included in the premium plans, which start at $5.00 per month with the 25% discount coupon (not included in the basic plans). In September 2018, VyprVPN began working with Leviathan Security Group for consultation and auditing to become a fully no logs VPN service. In November 2018, VyprVPN released the audit results, which fully verified and confirmed that VyprVPN is now a no logs provider. We engaged a respected security firm to audit our zero-log policy so users have third party validation of our logging policies. We do not log a user’s source IP address (typically assigned to the user by their ISP). We do not log a user’s traffic or the content of any communications. This is a huge improvement over their old policy of maintaining connection logs for 30 days. The no logs policy, secure apps, self-owned server network, and Switzerland jurisdiction make VyprVPN a solid choice for privacy-focused users. Torrenting is another area where VyprVPN is now completely different with their new policies. In the past, VyprVPN basically discouraged torrenting and any form of copyright infringement through downloading/sharing on their network. They would use the connection logs to forward DMCA notices to the offending user and close accounts for habitual offenders. This has all changed with their updated no logging policy. Non-logging prevents VyprVPN from knowing who downloaded what and when. In order to protect the privacy of our users, we do not log the IP address used by any user. If the copyright holder only provides an IP address as identifying information then it is impossible for us to associate a DMCA notice with any of our users. VyprVPN’s is now a good choice for those who want to torrent with a VPN. Cutting out all third parties better protects your data and privacy. While VyprVPN does not offer quite as many locations as ExpressVPN or NordVPN, they clearly put an emphasis on quality and network security. Nonetheless, they still have a presence in many locations around the world. You can get more information on VyprVPN’s server network from their website. One trick to using a VPN on many devices, without exceeding your connection limit, is to use a VPN on a router. The router will count as one device, but it will extend the protection and benefits of a VPN to every device that connects to the router. I tested out VyprVPN on an Asus router and found it to perform well. See this step-by-step VPN router guide I created for instructions on setting up VyprVPN with a compatible Asus router. VyprVPN also offers a VPN router app that simplifies the installation and setup process. One advantage of their app is that it lets you easily select how each device on your network connects – either through the VPN or your regular (unencrypted) connection. The ability to switch between different VPN protocols, including PPTP, OpenVPN (160-bit & 256-bit) and Chameleon. The ability to connect to different servers in the network. Full protection from VyprDNS for all of your DNS requests. 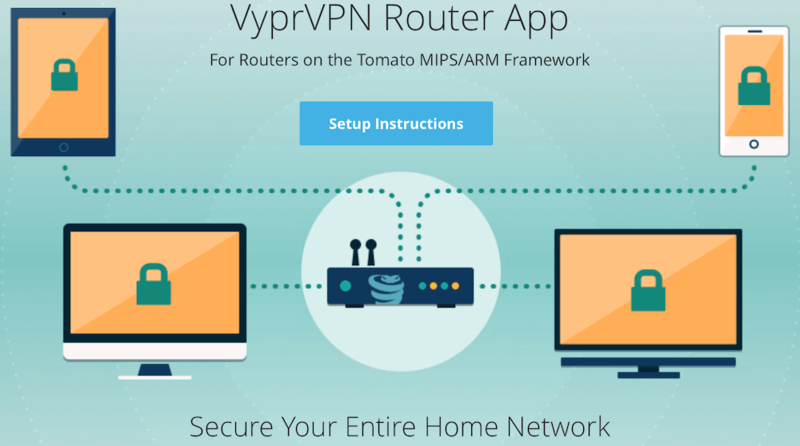 Note: VyprVPN’s router app runs on Tomato firmware, therefore it can’t be used with all routers. For an overview of VPN routers and all the different firmware options, see the VPN router guide. Another unique aspect with VyprVPN is that they are a very transparent company. With many VPN services, it’s difficult to find any information about the owners, operations, policies, etc. VyprVPN was also featured by the Center for Democracy and Technology as a service meeting their transparency and trustworthiness standards. See the full explanation here. VyprVPN is owned and managed by Golden Frog GmbH, a company based in Meggen, Switzerland. 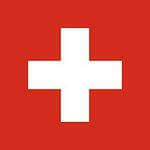 This puts VyprVPN and all customer data under Swiss data protection and privacy laws. Switzerland is an excellent jurisdiction for privacy, with data protection legislation being incorporated into the national legal structure. It’s a country that is fiercely independent (not a member of the EU) and also not a member of the infamous 5 Eyes or 14 Eyes mass surveillance alliances. As they discuss on their website, Switzerland was carefully chosen as the legal jurisdiction when the company was initially founded. The owners of VyprVPN, Ron and Carolyn Yokubaitis, are in Texas (USA) and have a long history fighting for online privacy and combatting illegal mass surveillance. The company background is also quite interesting. VyprVPN was created in response to the infamous Room 641a scandal, where the NSA (US government spy agency) was utilizing AT&T’s network for mass surveillance and large-scale data collection. You can get more information on the VyprVPN website (see the About page). 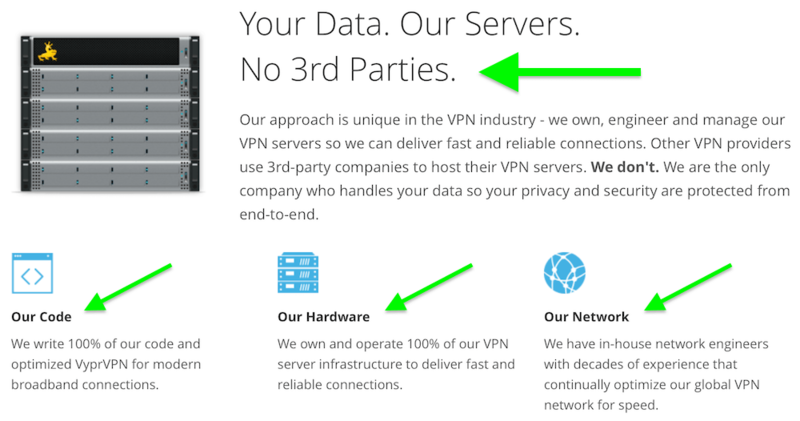 One big advantage with VyprVPN is that they own and manage 100% of their VPN server network. This cuts out all third parties and better secures your data and privacy. Many VPNs rent cheap virtual servers, which are often shared with other parties. Aside from the security risk of sharing virtual servers with other parties, many of the servers are also logged by the data center (host), even when the VPN itself claims to be “no logs”. VyprVPN maintains 100% control over the hardware, the network, and the code, thereby removing all third parties from the equation. Overall VyprVPN is a high-quality, fast, secure VPN that performed very well in testing for this review. It offers a great lineup of applications that are user-friendly, secure, and reliable. VyprVPN’s server network is composed entirely of self-owned servers to eliminate all third parties and maintain the highest standards for data security. Now that VyprVPN is officially a no logs VPN service, and has been publicly audited, it is even better for privacy-focused users than before. The new reduced prices also make VyprVPN a great value when compared to other high-quality VPN services. 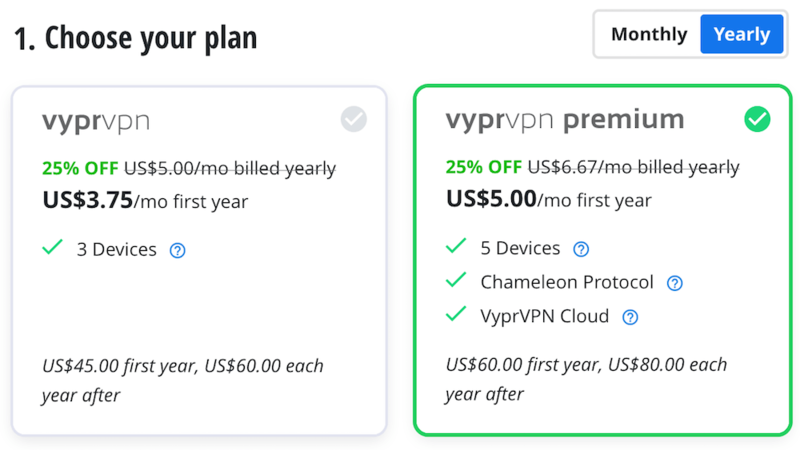 With the coupon below you can get VyprVPN for only $3.75 per month (basic) or $5.00/mo (premium), and all plans come with a 30 day money-back guarantee. See the best VPN report for additional options. If you have used VyprVPN, feel free to share your honest review (good or bad) below. And if you have general questions, please use the contact form. I can describe this VPN as a DISASTER! I DO NOT RECOMMEND VyprVPN! – TRIAL VERSION??? There is no trial version without your Credit Card or PayPal address and payment!!! – Except that vyprVPN demands your POSTAL CODE, without it you cannot register for a TRIAL 3 day version! “Internal Server Error: Our server encountered an internal error or misconfiguration and was unable to complete your request. The appropriate people have been notified, and the problem will be corrected shortly. – CHAT SERVICE ONLY AFTER EMAIL AND NAME REGISTRATION. One of the bad things with this is that they don’t have servers on South America. Their server doesn’t allow ping, to make it more difficult for naive users to detected the real locations. You may also want to check out NordVPN, they do not use any virtual servers and have a good selection for that region Brazil, Argentina, and Chile, plus Mexico and Costa Rica. Plus it’s pretty cheap right now with the 75% discount price. Okay VPN, terrible business practices. First, to be fair, I have to mention the VPN service itself is okay. It usually works, has lots of servers to choose from and is relatively stable. It’s worth noting however that if you use Vypr from China, there has been lot of downtime lately (late 2018 to early 2019), sometimes up to 3 weeks at a time. Now, my big complaint is that they seem to have really shady business practices with paying customers. I first registered with VyprVPN in 2014 with what they called at the time a PRO account, paying $99.99/year for the service. In 2017, the PRO service was discontinued and replaced with what they call the PREMIUM service, costing $80/year. Problem is, they never informed me or other customers by email about this so, if you didn’t personally change from PRO to Premium in account settings, you would still be paying $99.99 yearly for their $80 Premium service, which I did until today. When I contacted their customer service about this, all they could manage to say was that it wasn’t their responsibility to change their customer’s payment plan and that they could do nothing about the extra money I had been paying them for the last 2 years. So, for the last 2 years, I paid VyprVPN either $19.99 or $39.98 extra that I didn’t have to pay (depending on when in 2017 they switched from PRO to Premium). Might not seem like a lot but when you consider that they probably have thousands + customers and that I’m unlikely to be the only one with this problem…Terrible service! I use the service for some days and get great speeds throughout the network. What bothers me, is that theres no transparency which servers are dedicated and which are just virtual. As a customer who doesn´t want connect to virtual servers you have no chance to figure out to which server you´re going to connect. It´s a drawback for me! What do you think of that Sven. Is this trustworthy after years of shutting down subscriptions if someone was torrenting? Hi Brad, yes, that is very encouraging and surprising. I’m going to need to update quite a few pages with this information. Regarding torrenting, I’m not sure if/how they would enforce DMCA complaints with no logs. Either way, this is a great to see. I read your review regarding VyprVPN which I’ve used for the last two years on my Mac, Synology nas, and iPhone. All with good results. I recently purchased an ASUS router to replace my Verizon router hoping for added security with the installation of their client on the router. The results were pretty dismal either using the PPTP or OpenVpn protocols. I had to delete each from my router and stick to having it installed on each of my separate devices again. Hi Philo. VPN router speeds really depend on which Asus router you are using and the router’s processor. Results can vary significantly based on how much processing power the router has, see the VPN router guide for more of an explanation. So, I like VyprVPN. However, I can’t watch Netflix (any region) or Hulu with it as a VPN is detected. This, coupled with the fact that they maintain connection logs for a month, put them at the bottom of my recommendation list of the best VPNs. They are still good, but not the top. I’d rather ExpressVPN and Perfect-Privacy which maintain absolutely no logs, are fast, and work with Netflix (US, CA, UK) and Hulu (US). Privacy is important to me and so is security and protection online. VyprVPN does a good job of this minus the logs, and while they are a solid service, again I’d rather keep my ExpressVPN and Perfect-Privacy subscriptions instead since they are similar and work with Netflix and Hulu which are also important services to me as I don’t want to always be switching services whenever I want to stream content. While I haven’t used them, the fact that you can’t pay by crypto currency is a deal breaker. I wouldn’t go any further with a company where you have to use Visa/Masercard etc. I understand that they’re future-proofing their business by considering potential regulatory changes to VPN providers, but I’d rather cross that bridge when I come to it if I was in this line of business. Hi Ive just been looking up vyper vpn and they state they DO allow torrenting. I’m just trying to get some clarification about this – is one of these sources (you or them) that im looking at out of date? Hi James, correct, torrenting is technically allowed, but copyright violations, which will inevitably result from torrenting, will get your account blocked. So far all intents and purposes, one should not torrent with VyprVPN. Despite all theclever word twists and rationalizations theyare not Swiss based in any way. They are a US company with full base and presence in the USA. Just because they decideto register in a different country changes nothing, they are still under US laws, control, and jurisdiction. Good censorship/ip ban bypass but that’s it. I just wanna know why do you insist on recommending VyprVPN when they keep some logs. I have used this VPN before and let me tell you, that they have blocked my account when they received some DMCA notice. How can they know which user is which if they didn’t keep specific connection logs that can be traced back to a specific user? That alone is one ‘feature’ that I don’t want in a VPN. If you are torrenting (copyright infringement) on VyprVPN servers, they will block your account – they are honest about that – so it shouldn’t be a big surprise. VPNs can get kicked out of data centers for repeated copyright infringement on their servers, so this can be a serious issue for some providers, which can results in service interruptions. This is why some VPNs allow torrenting, but others do not. VyprVPN does not hide this fact. Regarding logs, it’s not really a deal-breaker, but I do take it into consideration. Just like with VPN.ac, VyprVPN is honest about their logging policies – unlike many VPNs that are falsely claiming to be “no logs”. Some people want “no logs” – and for others logs aren’t a major factor. The choice is yours. VyprVPN is based in Switzerland, which further protects customer data, and they seem to be a very honest and transparent provider, which I like. I agree, but let say this is not all about torrenting. Let say if I do something – that require them to hand my info to the authorities. Don’t you think this will be just like PureVPN’s case, where they handed all information to FBI? Also a case with HideMyAss, where they have given up the LulzSec member information to FBI from matching logs. Both of them kept logs that can be traced back to a user. What kind of ‘privacy’ and ‘security’ is that to you? 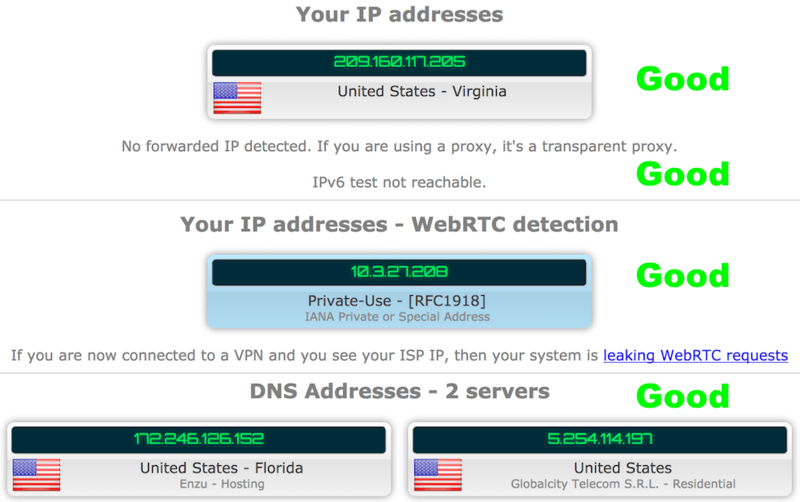 Why do I need to hide my IP address when my info can be retained freely by authorities? Regarding the topic of providing user data to authorities, that is a very serious matter and different from connection logs and torrenting cases. GoldenFrog (VyprVPN) was incorporated in Switzerland for this reason, as they explain on their website here. The founders saw how US companies were being pressured by US authorities, such as the case with AT&T, to provide customer data. The Switzerland jurisdiction allows GoldenFrog to ignore these data requests – at least more so than any company that’s incorporated in the US or other 5 Eyes jurisdictions. But for better privacy protection, a no logs VPN that’s also located in a good offshore jurisdiction would be a better choice, such as Perfect Privacy, ExpressVPN, or NordVPN. VyprVPN has just gone through a public audit [https://www.goldenfrog.com/blog/no-log-vpn-service]… @Sven, is it worth incorporating this fact into your review? Hi Johnny, yes, I saw the news yesterday. This is really great, the audit is public (unlike with NordVPN’s audit) and it looks really good. Yes, I will need to not only update this review, but also every post where I dinged VyprVPN for their logging policy – working on that now. VyprVPN is probably the only VPN that has a simple, easy to use obfuscation feature that works well and does not affect performance. Streaming services – like BBC IPlayer – are now performing deep packet inspection (DPI) and will block you if they identify you being on a VPN. VyprVPN is the only solution I’ve found – with the Chameleon protocol – that defeats this problem. I’ve used it at my school library as well, where all other VPNs are blocked. Not a bad VPN for the price when you consider that many others are getting blocked. I’ve used VyprVPN for a couple of years now. I even applied for a job at their company (I decided to go elsewhere so never worked there) because I believe in what this company stands for. Unfortunately, I have always found their software to being incredibly buggy and their tech support awful. On several occasions I learned that my ticket was closed only after receiveing a survey about my support experience! The issue wasn’t resolved and they never told me they were closing the ticket. – I’ve never experienced the “Chameleon” option actually working to obfuscate and have been blocked from some sites for using a VPN with Chameleon on. I’ve logged these issues with their tech support multiple times and all their tech support people seem to suggest suggest is to delete and reinstall the app. It’s no wonder they have such persistent problems when they don’t bother to troubleshoot. It’s very frustrating that a company with such positive motivations and purpose offers such a bad product. I really do wish they would make a better product and resolve their support issues. I came to your site specifically to look for a replacement after finally getting fed up enough to cancel my subscription to Vypr. I mainly use Vyprvpn with Android on tablets. I have now compared Vyprvpn apps to Purevpn, Expressvpn, and Nordvpn. Vyprvpn is the best by far. It just works all the time, always fast, stable and reliable. I’d say Purevpn was the worst of the bunch. Not a huge fan of the logs, but can’t beat the price and performance of the apps. I was on the fence, but will be renewing my Vyprvpn subscription again after comparing it to other vpn’s.